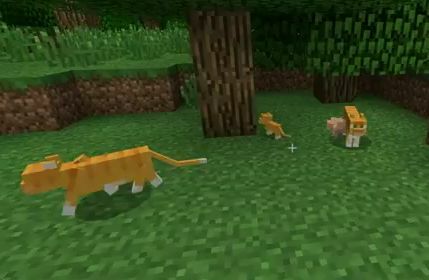 Minecraft 1.2 will include a tameable, breedable jungle cat. Markus "Notch" Persson has handed off development of Minecraft to the able-bodied hands of Jens Bergensten and he hasn't let up on adding new features. 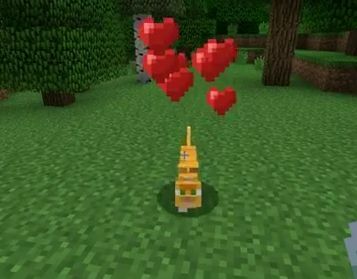 The 1.2 version that's up for testing right now on the server has a couple of bug fixes and a new skeleton AI but the really cool addition is a new tameable pet. 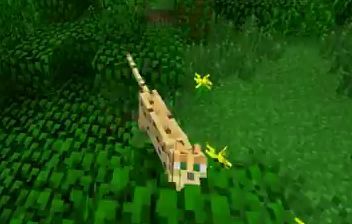 The ocelot is a jungle-based pet, and can be bred just like wolves. The 12w04a build is available on Mojang's website now. 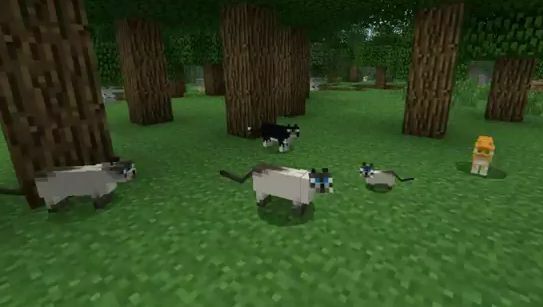 The cute little cats spawn only in jungle and forests, and will multiply when fed raw fish. Which makes sense, really, when you think about it. The cats come in three varieties: orange calico, white with black feet, and black with a white belly. The skeleton AI is also welcome change as the mobs will no longer hang out when the sun comes up and just burn to death. The new AI programs skeletons to seek shade or go under water when dawn comes. The full patch notes are below and you can find download mirrors on Mojang.com. Jens Bergensten also noted that the game is shifting to a new version of Java with 1.2. "We've been using a really old version of LWJGL because last time we tried to update it the game broke down and became unplayable for a lot of people," he said. "We are going to try to update it again once we release Minecraft 1.2." 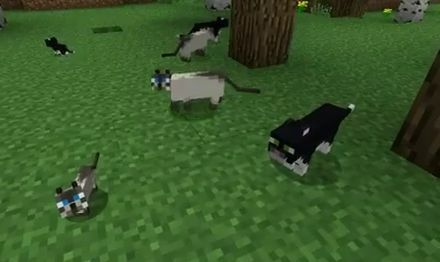 The addition of kitties to Minecraft seems like it was inevitable. I mean, you have to have the yin of the hissing creepers to the yang of cute fuzzy ocelots. That's just how the world works.